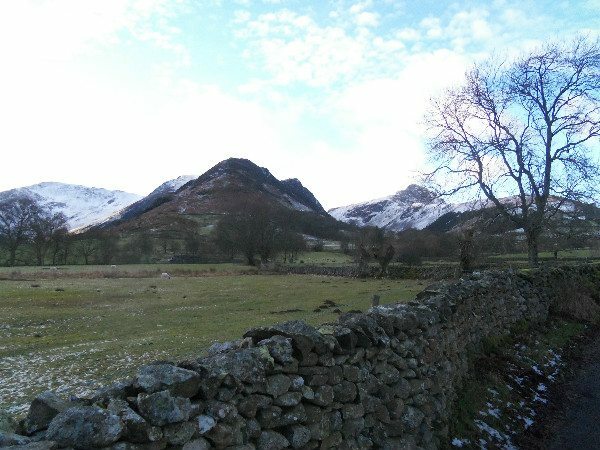 Winter can be pretty dismal in the Lakes – short, dark days with the hills permanently shrouded in cloud, often accompanied by rain. Lots of rain. 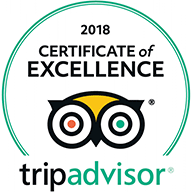 But that rain often falls as snow on the higher tops, and if the sun comes out in the following days, not only does the scenery look truly stunning, but it can also make for some of the best hill walking of the year. And that is exactly what happened last week. As a north Atlantic depression brought Arctic conditions to most of the country, it cleared from the north and left the snow covered hills of Scotland and Northern England bathed in sunshine. We saw our opportunity, and left home on Saturday morning to attack the Hindscarth/Robinson horseshoe. Hindscarth and Robinson are 2 of the jumble of peaks that fill the skyline to the west of Keswick, and will be familiar to many visitors to the area, even if they don’t realise it. The shapely form of Hindscarth rises behind and parallel to Cat Bells, with the rather unshapely bulk of the slightly higher Robinson next door to that. Together they form the south wall of the Newlands Valley. Our route started at the small car park by the hamlet of Little Town, around 15 minutes by car from Keswick, where an honesty box asks for £3 for a full day’s parking. Walking out of the car park towards the tiny Newlands chapel (very old but refurbished in the early 2000s), the blunt nose of Scope End rears up ahead of you, showing the route to come. First, there is a short walk along the track to Low Snab Farm, which sits immediately at the base of the hill. After passing through the farmyard and a wide gate, a signpost points you directly up the hill to Hindscarth. Unfortunately, there doesn’t seem to be a path that corresponds to the signpost. On climbing the hill a short way, however, a path becomes just about visible tracking back around to the front of the hill, where the route lies directly up and along the line of the ridge. For those who want a steady walk up grassy slopes, this is not the hill for you. Rather, it is a steep, fairly rocky climb up a heather clad hillside, where hands are occasionally needed as well as feet (especially when there is snow and ice on the ground). Eventually, though, the gradient slackens a little as you make your way along the undulating ridgeline, with the main summit cone rising ominously ahead. A short section of high exposure, where the narrow path leaves the ridge line and clings instead to the hillside way above the headwaters of Newlands Beck, leads to the bottom of the steep and rocky 200m summit climb. In summer, this would pose no problems at all, but with deep snow on the ground and a biting and occasionally fierce northerly wind, it takes a fair amount of effort. It is all worth it, however, as before long, you top out on the summit plateau by a large shelter cairn and the full array of the neighbouring peaks comes into view. A short walk across the top brings you to the high point at 727m/2385ft, also marked by a cairn. From here, the view, particularly to the south is impressive (unfortunately, Hindscarth’s immediate neighbours, Robinson and Dale Head, are both higher and obstruct the view in a couple of directions), with Great Gable, the Scafells and Pillar dominating the skyline. To the north and west, Grasmoor and the line of hills from Causey Pike to Crag Hill take the eye. Immediately below sits Buttermere and Gatesgarth Farm, well known as the start of many a hill walk. From the summit cairn, we continued across the plateau towards the precipitous south face, where a wide path drops, initially steeply, down to Littledale Edge. Despite its name, the “edge” is actually a relatively wide saddle connecting Hindscarth and Robinson and poses no difficulties at all. After the rocky climb of Hindscarth, neither does the ascent of Robinson, which involves a straightforward pull up onto the summit plateau, followed by a short walk to the large cairn (737m/2418ft). You can actually climb onto this one to gain the full height of the mountain! This is one of those fells that makes you realise just how close to the coast you are, with a view stretching over lower hills to the port of Workington in the distance. Below you, as the hills peter out, sit Crummock Water and quiet Loweswater. The route off Robinson, like much of this route, is obvious to see, with a long descending ridge falling away from you towards the little white dot of Newlands Chapel in the valley below. The path, on the other hand, when obscured by several inches of snow, is not always easy to see! Initially rocky and steep, the descent was tricky in places, but eventually becomes much gentler and grassier beyond Blea Crags and along High Snab Bank. Strangely, the path then stops at a wall, presumably as it hits that unsurmountable barrier of “private land”. A quick look around tells you that the way ahead lies by taking a 90 degree turn and following a very steep and smooth grass track directly down the hillside towards Scope Beck (again not the easiest path with patchy ice and snow). From there, a wide track past Low High Snab leads you onto the road and directly back to the car park. All in, our route was about 7miles/11.2km and took us around 4 hours. 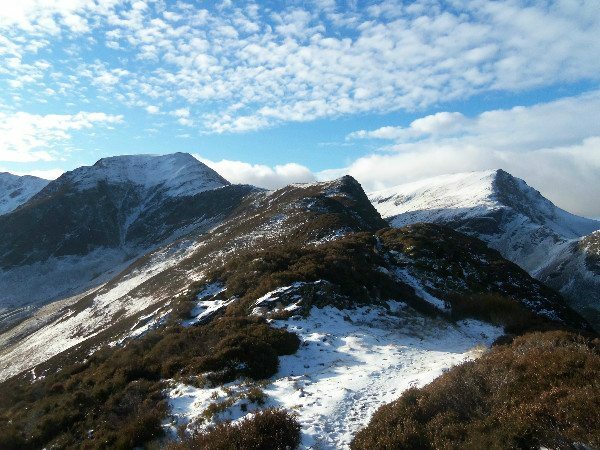 NOTE: Make sure you are properly equipped if you are going walking in the Lakeland hills during the winter, especially if there is snow and ice on the ground. 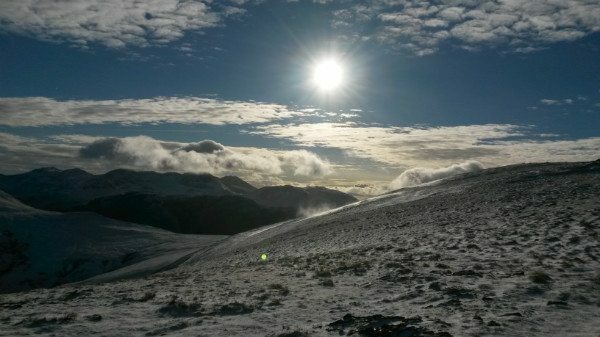 Conditions can change rapidly and can deteriorate considerably with altitude – temperatures will be much lower on the tops and the wind can be particularly vicious. 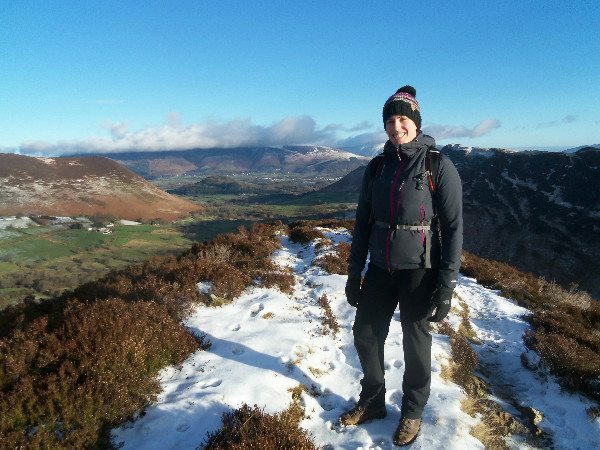 Sturdy, waterproof boots are a must (those with a Gore-Tex lining are ideal), as is a full set of windproof and waterproof clothing, a warm hat and thick gloves (mittens are much more effective in very cold weather). 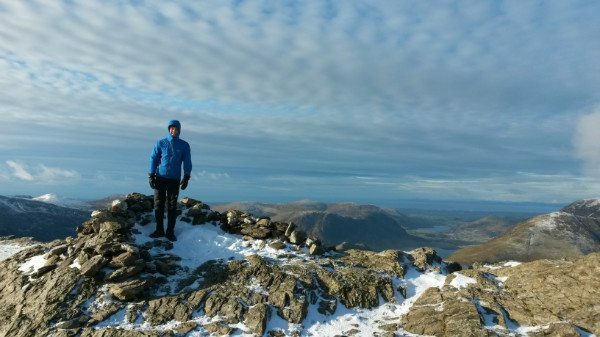 If you are tackling a particularly technical climb in cold weather, such as Striding Edge on Helvellyn or Sharp Edge on Blencathra, you should be equipped with crampons and an ice axe.